I want to share this article as it deals with a very important issue – the last emotional weapon used to coerce people into thinking that vaccinating is for the greater good. That by vaccinating and creating herd immunity we are protecting children that are too sick to be vaccinated. 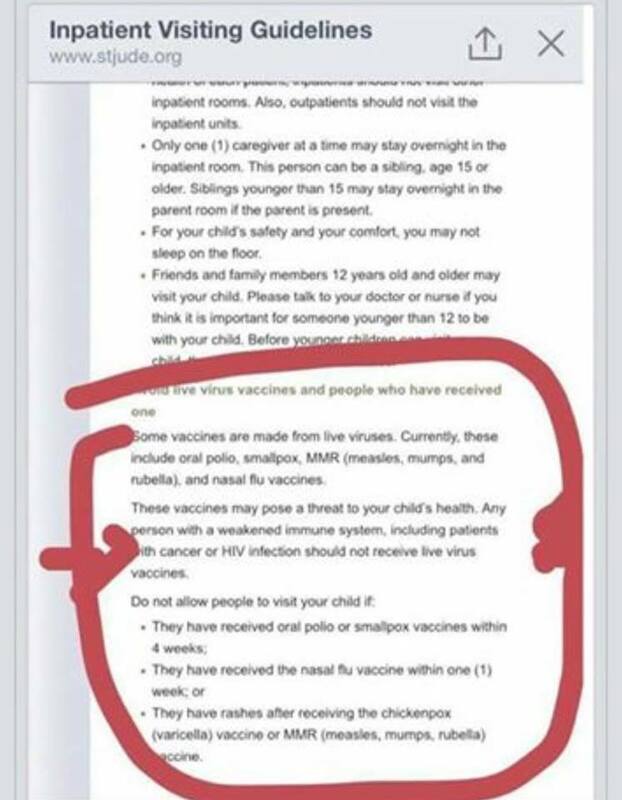 Of course this relies on a vaccine working to protect but also on the ability to eliminate bacteria and viruses from people which they have never been shown to do … you can read more about the herd immunity issue here, however, this article from a mother with a child with cancer illustrates where the real problems lie. I read with great interest the recent ‘measles epidemic’ articles that addressed the vaccine debate from the point of view of a cancer parent. My interest is the result of being a cancer parent myself – my little girl has been battling leukemia on and off for the past 10 years. I read these articles, and I became angry. Very, very angry. Once again, the government and drug companies are exploiting the plight of children stricken by cancer to achieve a profit-driven end without actually helping them. In fact, this profitable end could cause great harm, even increasing the rates of pediatric leukemia, if their obvious goal of a federally mandated vaccination protocol is achieved. I am a seasoned Momcologist, a term the research-driven cancer parents call themselves. We are the cancer equivalent of Thinking Moms, critical thinkers. I have done extensive reading on the etiology of leukemia, its connection to autoimmune disease, and how vaccines and natural disease may influence these sorts of childhood illnesses. Come connect the dots with me. Clearly, I empathize with the raw fear the parents in these articles have that their immunocompromised children may contract an illness that could be devastating. I have walked for years in their shoes. I get it. However, the parents in these articles are either grossly misinformed, or their comments have been edited with bias. Let’s get some facts straight about cancer treatment and infection. One of the first things we were warned about after my daughter’s diagnosis was live-virus vaccination. No one in the family was to receive a live-virus vaccine while my daughter was on treatment because these viruses canand do shed (1, 2, 3, 4), some for as much as four weeks (5), potentially infecting the immunocompromised patient with disastrous results. 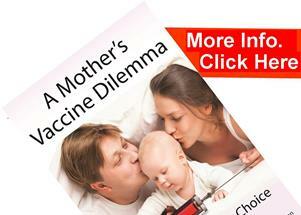 That includes the measles vaccine (MMR II and ProQuad), the intranasal flu vaccine, and the chicken pox shot. In fact, my other children were able to get medical waivers not to receive vaccines because of my daughter’s illness. I know my child is much more likely to encounter a peer at school who has been recently vaccinated with a live-virus vaccine than she is to encounter natural disease from an unvaccinated child. If my child were at a stage of treatment in which she was very immunocompromised, she would not be in school. My daughter missed most of fourth grade and a good portion of fifth, not because she was so sick, but because others were sick. Despite a nearly 100% vaccine compliance rate at our school, there were regular outbreaks of shingles, occurring after chicken pox vaccine boosters, influenza and other illnesses. Please note that, even in areas in which vaccine compliance is extremely high, there are still outbreaks of disease that are not caused by the unvaccinated (6). The most deadly threats for a child during intensive cancer treatment lie right within his or her own body. Immunocompromised pediatric cancer patients are far more likely to die from opportunistic infections that originate from overgrowths of fungi, mold and bacteria(7) than they are from vaccine-related viral infections. When I searched to find the last recorded incidence of a child dying of measles (because that is the hated disease du jour) while undergoing cancer treatment, well, I couldn’t find one. I did, however, find at least one death in the immunocompromised from the measles vaccine (8), with no indication of when it or they occurred. There hasn’t been a recorded death in the U.S. from measles in the past 10 years. (9) In fact, measles infection may actually be curativeof some blood cancers (10, 11), presumably by initiating normal immune system defenses. The measles virus as an actual treatment has also been explored in other malignancies (12, 13). There is evidence that the “hygiene theory” of the immune system may have some relevance to to vaccines. It has been found that more “hygienic” populations, i.e. kids who have had fewer exposures to everyday germs, are at higher risk for some illnesses. The idea being that the immune system needs to “learn” how to respond appropriately by coming in contact with common bugs in order to develop properly. Industrialized countries that have a decrease in infectious burden over less developed nations nevertheless show anincrease in allergies and autoimmune disease. “The leading idea is that some infectious agents — notably those that co-evolved with us — are able to protect us against a large spectrum of immune-related disorders.” (14) Are we trading benign, transient illnesses that were once considered normal childhood rites of passage, illnesses that appear to be protective for more serious disease, for a lifetime of chronic illness, even death? Time to stop and connect more dots. 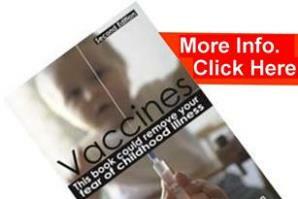 What are American children exposed to that deliberately hyper-stimulate the immune system? Vaccines. Our children are subjected to an incredibly aggressive vaccine schedule, the likes of which no other country sees, from the day they are born (and we have the highest first-day infant death rate of any first-world country, by the way) (18). Could we actually be triggering leukemia, the most common form of childhood cancer, with these vaccines? Particularly when we give them to children who already show signs of abnormal immune response? Vaccines are not calibrated by weight or age or health-risk factors; potency levels of vaccines are standardized (19), which may cause hyper-stimulation for a child with a highly sensitive immune system. Isn’t it interesting that less industrial countries have lower rates of autoimmune disease, yet when those kids come to industrialized countries, in one generation they match our rates? (20) Could this possibly be related to the fact that these immigrants are required to submit to more aggressive vaccine schedules? It is so very obvious that this potential connection requires exploration, yet the only studies to be found merely compare leukemia in more vaccinated to less vaccinated kids. The data from children who are completely unvaccinated is critical in uncovering the true reality of overall pediatric health. We may very well find many interesting discoveries. Read this study from Germany (22), for example, which shows less acute and serious chronic illness overall for unvaccinated children, though they did not include childhood cancer. Why are we merely chasing a cure when a likely cause is sitting right under our noses? I must add additional comment about parental trust in the government as it concerns our cancer kids. Once parents recover from a cancer diagnosis, they have a strong desire to help their children – to participate in activism in some way. It is then they discover a disturbing reality about the state of pediatric cancer research and funding: In a united front, the major cancer fundraising organizations, our government, and the pharmaceutical industry ignore pediatric cancer. Why? First, kids don’t vote. Second, kids don’t get cancer in rates high enough to warrant good profit returns. 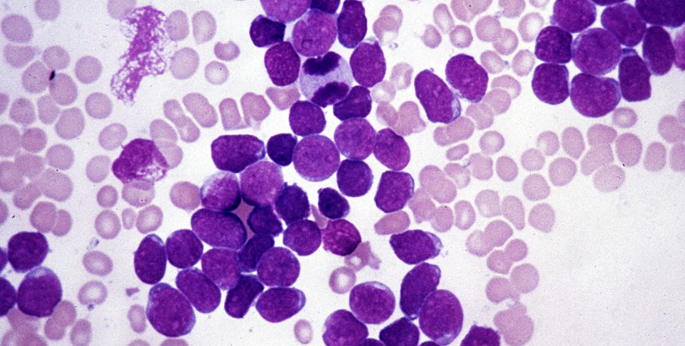 There has not been a novel drug developed for the treatment of acute lymphocytic leukemia, the most common childhood cancer, in 20 years (26). Oncologists are forced to use the same horridly harmful chemotherapy and radiation; the only variability in protocols is in the combinations, dosages and timing of the same archaic drugs. And while ‘cure’ rates have increased, childhood cancer incidence is still on the rise (27). Over and over again, however, these organizations will exploit the pitiful stories and pictures of our kids to tug heartstrings and solicit funding. The National Cancer Institute directs a pittance (4%) at pediatric cancer research versus other, more common and profitable, cancers (28). When will health research be directed by the needs of the people rather than the greed of corporations? It is time to ask the hard questions for the sake of our children. Are we actually causing leukemia and other childhood illnesses with these vaccines? Could we even preventleukemia by allowing natural disease? The current measles “scare” is clearly a push for a federally mandated vaccine program. Measles is highly contagious, yes, but benign (even potentially helpful) for the vast majority in a first-world country. If the current vaccine schedule could be harming our children, what will happen when pharmaceutical companies are given carte blanche? Do we really want to relinquish our parental rights to a government that has shown itself to be both corrupt and callous in their treatment of our cancer kids? What data is critical to either prove, or disprove, the hypothesis that vaccines can lead to increased chronic disease, particularly those related to the immune system like leukemia? An independent study of the overall health of vaccinated versus unvaccinated children must be undertaken. It is past time to finish connecting the dots to reveal the true picture of vaccines and childhood cancer. Though it is too late for my vaccine-injured daughter, this Momcologist stands against vaccine mandates, for the health of future children. About the author: Jean Ghantous is a wife and mother of three with a background in science, who formerly held a position with a pharmaceutical company as a research specialist. She has been a Momcologist for the past 10 years, since her daughter was diagnosed with high-risk pre-B cell acute lymphocytic leukemia as a toddler. After three years of treatment, the family enjoyed years of remission until her daughter was again diagnosed with a very late relapse at nine years old. She is currently in remission and doing well. Jean’s penchant for research led to the important discovery that transfusional iron overload had been a long-overlooked high-risk factor for adverse late effects in cancer children. “Oncologists are so focused on treatment protocols that preventative care has been neglected, universally,” said Jean. 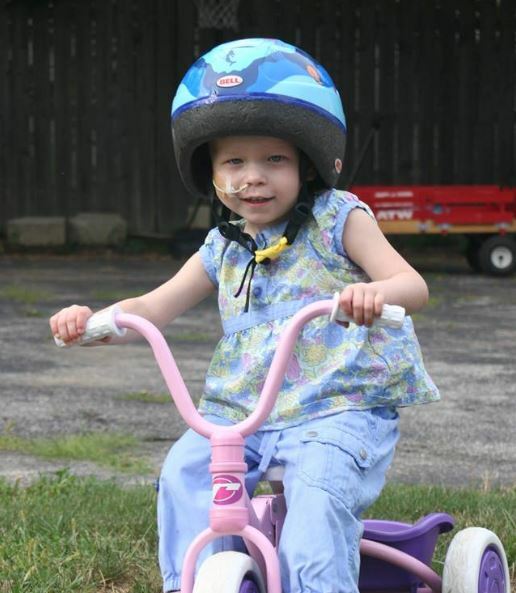 “I realized within the first 10 minutes of researching iron overload that not only did my daughter have a very grave problem, but many kids, over many years, were at risk as well. I was horrified to read the list of side effects of iron toxicity; it was eerily similar to the late effects one is told to expect from chemotherapy.” Jean pushed for treatment and preventative care. She said “No one addressed iron overload because, well, no one had NOTICED it. For decades of cancer treatment.” This led to her hospital implementing a computerized tracking program for transfusional iron deposition and its involvement in a nationwide strategy for reducing risk from iron toxicity in children with cancer. 10) Bluming A, Ziegler J. “Regression of Burkitt’s lymphoma in association with measles infection.” The Lancet. 1971 Jul 10;:105–106. 21) “An Infectious Aetiology for Childhood Acute Leukaemia: A Review of the Evidence.”http://www.ncbi.nlm.nih.gov/pubmed/15491284. Sharp peak in ALL diagnoses in developed countries between 2 and 6 years; early infection could be protective. How important are antibodies for immunity?